The VitalSleep website offers potential buyers a simple pitch: Try making a snoring sound, then move your lower jaw forward and try again. If you can’t make a snoring sound with your jaw positioned forward, then the chances are that the VitalSleep will work for you. (Special note to readers: As of the beginning of January 2017, VitalSleep has jacked up its price – and jacked it up big. 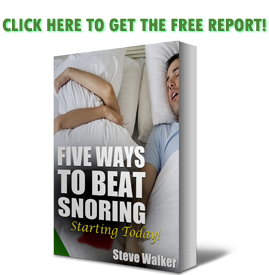 While the snoring mouthpiece was previously $59.95 for one, or $49.95 each if you were buying two, they have recently hiked the price to $79.95 or $139.95 for two. What do you get for this increase? Uh, how about the same ol’ VitalSleep mouthpiece? A nice new logo, yep, but that’s it. It sounds simple, of course, but this simplicity actually mirrors the VitalSleep product – this is a bare-bones, minimal mouthpiece that I like to call a “beginner’s mouthpiece”. It’s low cost, and very easy to use and get used to. In my never ending quest to find the perfect mandibular adjustment device (MAD), I naturally came across the VitalSleep device. 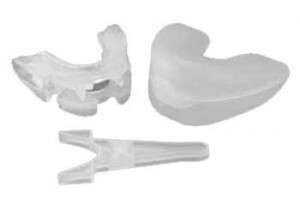 The VitalSleep MAD has a rather unique adjustment system which allows the amount of lower jaw offset to be adjusted to your specific requirements. VitalSleep is available in two sizes – a “regular size,” which is suggested as being suitable for men, and a “smaller version” more suited to women. Both sizes can be adjusted using the classic ‘˜boil and bite’ method to ensure a perfect fit to your individual requirements. This mouthpiece features an air hole at the front which allows you to breathe through your mouth with the device fitted. What makes the VitalSleep MAD different from others in the category is that you can adjust your jaw’s positioning so the mouthpiece is effective and comfortable for you. Interestingly, there is also room to move your jaw placement from side to side, which should help if you feel a little restricted when using a mouthpiece. Click the handle in to place on the device (if it doesn’t click, try turning it the other way up). Pour sufficient boiling water to completely cover the device in a suitable container. Click here for the official VitalSleep website. As I laid down with the VitalSleep, I wondered about the adjustments of the offset, even though it was comfortable the way it was. I tried this mouthpiece in several different positions and it did feel different, albeit slightly less comfortable than before. The small amount of lateral movement that the VitalSleep allows did actually add to the comfort of the fit. This was something that you don’t really think about until you actually experience it. I found that I quickly became used to the VitalSleep in my mouth and I did not snore (according to my snoring assistant, my wife). So for me the VitalSleep worked well. However, due to the adjusters, the VitalSleep can be a little awkward to clean. My preferred method was to use a denture cleaner rather than a toothbrush and toothpaste. VitalSleep offers a 30 day money back guarantee – the 30 day starts when you actually receive the product, as opposed to when it is shipped. This is a very important distinction. 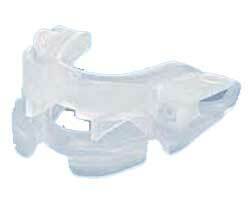 As with all mouthpieces, there are certain people for which MAD mouthpieces like the VitalSleep are not suitable. These include people with moderate to severe sleep apnea, those who wear dentures, people with jaw problems or those that have had teeth implants. What I liked about the VitalSleep site is that it also mentioned that if you have tinnitus, using the VitalSleep mouthpiece could make it worse. It also mentions that it may be unsuitable if you have an overbite. In common with all MADs, the VitalSleep will not work for a small percentage of people who snore. If you are one of this small group, you can easily get a refund for the cost of the mouthpiece (minus the shipping and handling). One of the things that I really liked about the VitalSleep was that you can have some side to side movement of your jaw while it is in place. Some users have commented that for them the VitalSleep seems a little loose in their mouth. This feature may take a little time to get used to, but for me it is definitely a major plus. Although the precise jaw offset adjustment means that the VitalSleep requires a little more effort to clean, it also makes for a more comfortable fit that is well worth any additional effort. Did not work for me. I made adjustments all ways and all this device did was force my mouth open. According to wife that made snoring worse. I am going to try to get my money back. As you should, Jason. These mouthpieces, remember, aren’t going to work for everyone. The best you can do is give it a try and then return it. Some companies do make you pay shipping within the guarantee period, but what’s $10 if it means you could have stopped your snoring for good? I recently ordered the Vital Sleep anit-snoring device. It worked but was terribly uncomfortable. I requested a refund. I was offered a full refund without returning the device. In addition, they sent me an email asking if I would like to try another model. No charge and if I wasn’t happy they would promptly give me my refund. They did this TWICE. Sending me a total of 3 different devices. I found one that works perfectly for me. I was so impressed with their customer service that I am looking for places to share it. Hope this helps someone. I ordered mine a few months ago. I didn’t try it right away so I can’t get my money back. Unfortunately when I tried it, it didn’t work at all. It even made it worse because it kept my mouth open all night, and then I’d wake up in the a.m. with it just sitting there loosely in my mouth, doing nothing. I’m especially disappointed because my roommate, who owns the place, has told me I must move out by the end of January since it doesn’t work. I’m scared I’m going to become homeless because I can’t afford anything I’m finding. I cannot come close to affording the CPAP. I’m sorry to hear your story, Ana. We haven’t recommended VitalSleep for some time. I wish you tremendous good luck! So, I tried the new and improved device and have had issues with the plastic screws coming out completely. It worked for a little while, but doesn’t seem to be anymore. We have not tried the “new and improved” device, but the older one was sadly no where near its competitors when it came to effectiveness. Thanks for the comment!